This morning, I had breakfast with three professionals—an attorney, a financial planner, and a CPA, who all work with high net-worth individuals. We talked about the value of optimizing a website for search and whether high search-engine rankings are of any value particularly when targeting an older, affluent market. Professionals targeting this market often argue that the only reason for having a website is to establish credibility when someone is referred to them. It’s true that a site that quickly establishes a professional as an authority is very important, but as the world continues its march toward finding everything on the Web, it’s increasingly important to be found when a prospective client does a search. The perception that older, affluent individuals may not be as likely to turn to the Web to search for someone to update their estate plans or manage their money is not necessarily true. Some six million more “seniors”—those over age 65—are using the Web than five years ago, and that demographic is now one of the fastest growing for Facebook and other social media use. It would make sense that those individuals would also use Google to search for a financial planner who works with high net-worth individuals. What is certain is that their children, those who are baby boomers and younger, will turn to the Web, even if only to run a preliminary search to see who’s out there. And, as baby boomers manage more of their elderly parents’ assets, and as the forecasted immense transfer of wealth takes place in the near future, this group’s ability to find a professional online is going to be essential. That example also speaks to the point that some professionals claim all of their business comes by way of referral. It still puts you in a stronger position if someone refers a prospective client to you and saw your name during a preliminary search, and/or your LinkedIn profile was at the top of Google’s results. Professionals often say that all their marketing is done through relationships because of the level of trust needed in their respective fields. Undoubtedly, relationships are important in a high-end market; however, when it comes to marketing a professional service, all marketing is done through relationships. In order to develop a relationship, there must be the opportunity to start that relationship. If someone is searching for a provider in your area of expertise, finds you online, and calls you, you have an opportunity to build a relationship. But, if you somehow slip through the cracks at any level, you’ve lost the chance to connect. Another aspect of throwing your hat into the search engine optimization (SEO) ring, is that every day the marketplace becomes increasingly competitive. Those who started building an online presence several years ago already have a strong foothold and are reaping the benefits. This doesn’t mean that a newcomer can’t make inroads, but creating a significant online presence takes time. The sooner you create your online presence, the faster you’ll see results. 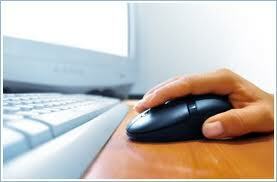 There are those who think that shopping for a professional service provider online cheapens that profession. The philosophy being, for example, that looking for a car online is fine, but it’s not OK to look for a CPA who understands sophisticated finances. What really gives the impression of being cheap or low class is not merely that something appears on the Web; it’s the execution. A high-end financial planner’s website, blog, or other online marketing device needs an appearance and messaging that appropriately reflects that professional’s positioning. Additionally, there is the idea that a Web presence attracts those individuals who are simply price shopping and not serious about hiring you or your firm. Unfortunately, that does happen, but that’s part of the traffic the Web generates, and is part of the numbers game that is marketing. Overall, it’s important to understand that the world and our respective markets are evolving. To act on the belief that no one—including those in an older, affluent demographic—will search for a high-end professional on the Web is essentially ignoring where the world is headed.